From the No. 1 bestselling author of What If? - the man who created xkcd and explained the laws of science with cartoons - comes a series of brilliantly simple diagrams ('blueprints' if you want to be complicated about it) that show how important things work: from the nuclear bomb to the biro. 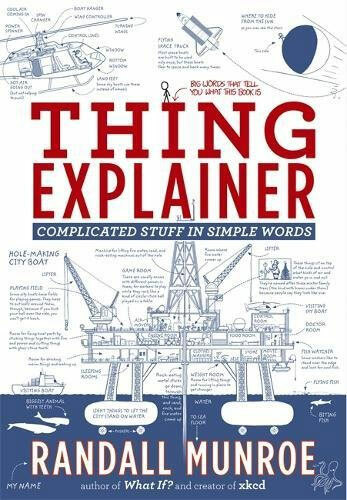 It's good to know what the parts of a thing are called, but it's much more interesting to know what they do. Richard Feynman once said that if you can't explain something to a first-year student, you don't really get it. 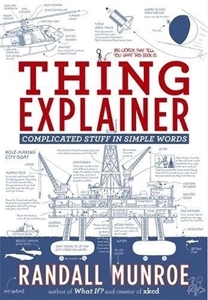 In Thing Explainer, Randall Munroe takes a quantum leap past this: he explains things using only drawings and a vocabulary of just our 1,000 (or the ten hundred) most common words.